This was the beginning of a culmination of a lot of hard work, by a lot of hard working people. 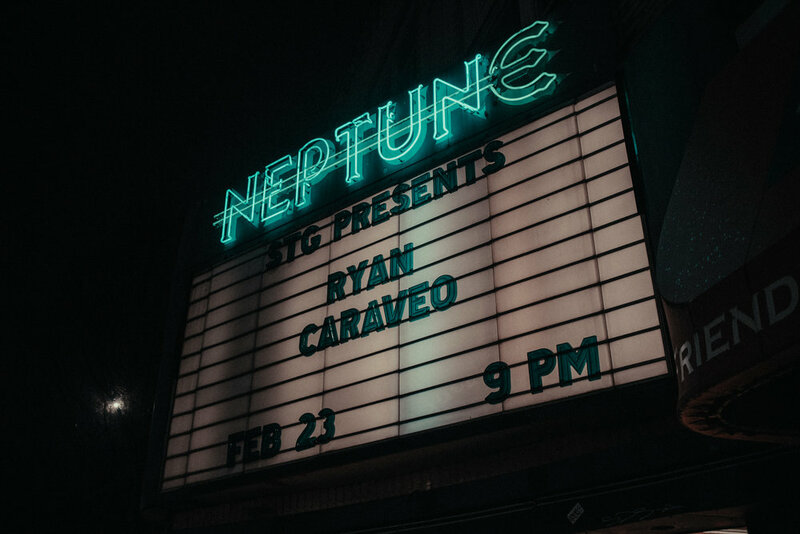 Night one of Ryan Caraveo's "At Least I Tried" tour was by all means, a success. 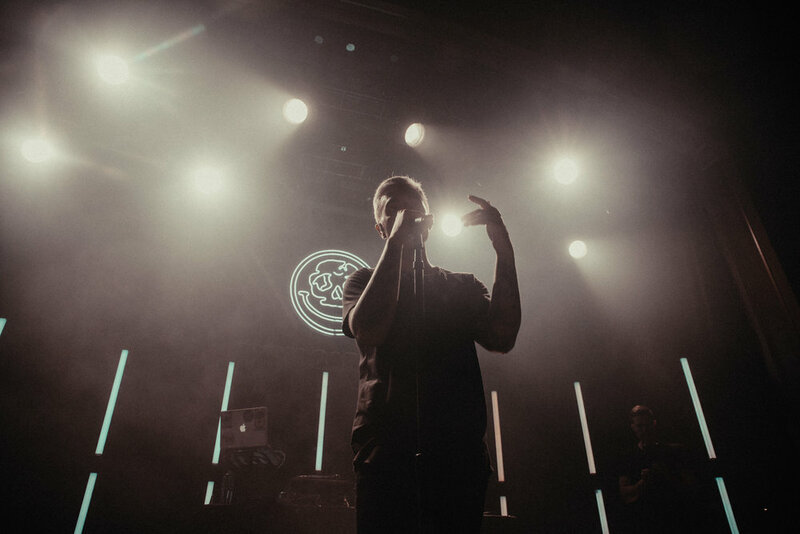 27 songs were performed, 2 opening acts took the stage before him, and 1000 people sold The Neptune Theatre out, in anticipation of this album release show/tour opener. For the better part of 2017, Ryan wrote, recorded, tinkered, traveled, and performed. Continuing the building of his fanbase, while evolving as a human and an artist. By late Summer, he'd finished the basis of most of the songs that would make up the new album and by Halloween, he'd released the first single, "Ghost". 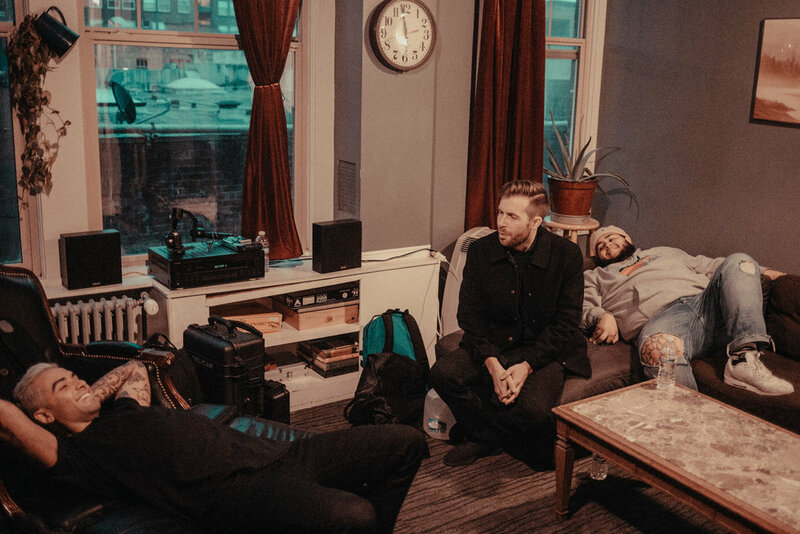 Between then and late January, he'd released a total of 5 songs from the record and had planned and booked a tour, with only the help of his immediate crew of friends, who also double as his producer, tour manager, DJ, merch guy, and photographer. The album came out on February 12th of 2018, the tour was announced and the first show, a hometown Seattle date was quickly moving tickets. By the day of the show, it had sold out at 1000 tickets on a bitter cold February evening. Brave fans waited out in the cold for hours, some up to 4 before entering the historic theatre near the University of Washington campus. It's hard to even quantify how many hours go into planning something like this. Just for the show alone, there were 3 separate rehearsals, each running over 3 hours apiece. For the album cover/tour poster/show flyers etc., we did two separate shoots, with the final image being taken at the 11th hour on the last possible day before submission for printing. The number of songs that were recorded, scrapped, tweaked and re-recorded will never be known outside of Ryan and Teal Douville, the sole producer of all 15 songs that did make it on the album. The tour itself had at least 3 or 4 initial routings, before the final itinerary was settled upon. All of this adds up to an incredible amount of time and effort put into the creation of all of this. What finally transpired on the evening of February 23rd was nothing short of chill inducing. When Ryan finally took the stage at 10:45, to screams of an entire room full of people, the energy was palpable. The camera on the side of the stage was continually shaking due to the crowd bouncing and the bass of the songs. The next 90 minutes were filled with an even mix of older songs with the newer material, all of which was received intently by the audience. By the time Ryan and Vega left the stage, it was February 24th and the remainder of the tour was only a week away from starting up. It would have been easy to pack up and head home or even go out to celebrate after the show, but Ryan spent over an hour at the merch booth, meeting every single fan who wanted a photo or a high five with him. Concerts are a fleeting experience, albeit one that stays in your memory depending on the impact it had on you. My hope, with this blog series, is that it adds more to the concert experience itself, by also showing the heart and hard work that goes into each and every show. I also hope that it gives a very humanizing element to the people that work to help make this all possible. I hope that it does justice to Ryan as an artist, but also as a human being. He's a good one.